Would You Like to Discover the Secrets to Build Lasting Success and Fulfillment? 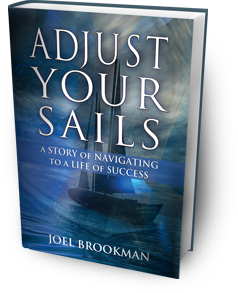 Coach™ Joel Brookman Has the Answers! Define the life you desire—happiness, freedom, success. Discover the powerful combination of action and discipline. Find the keys to setting goals for every aspect of your life. Integrate consistent action steps that move you to achieve your goals. Build knowledge-based activities to capture and fulfill your desires. Achieve your goals while still living a balanced life. Build lasting success, finding your life's purpose. Get Joel's weekly discussion for his latest updates to help you achieve your goals!